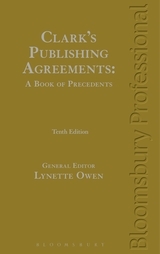 Clark's Publishing Agreements has long been the 'must have' legal resource for the publishing industry. This comprehensive book provides 24 model agreements, from author agreements, to merchandising rights to online licensing to ebook distribution to text and data mining. It includes a "Legal Developments" introduction giving an overview of existing and forthcoming legislation (UK and international). It also covers new initiatives undertaken by the industry and acts as an essential checklist for industry professionals. The impact of these developments have been updated in the precedents, their accompanying notes and appendices. It also includes an "Introduction to Electronic Precedents" which highlights the continuing developments in the field of technology and their impact on licensing practice and contractual wording. Whether an experienced drafter of publishing agreements or new to the industry Clark's Publishing Agreements will prove invaluable in ensuring that your publishing agreements are expertly and effectively drafted. 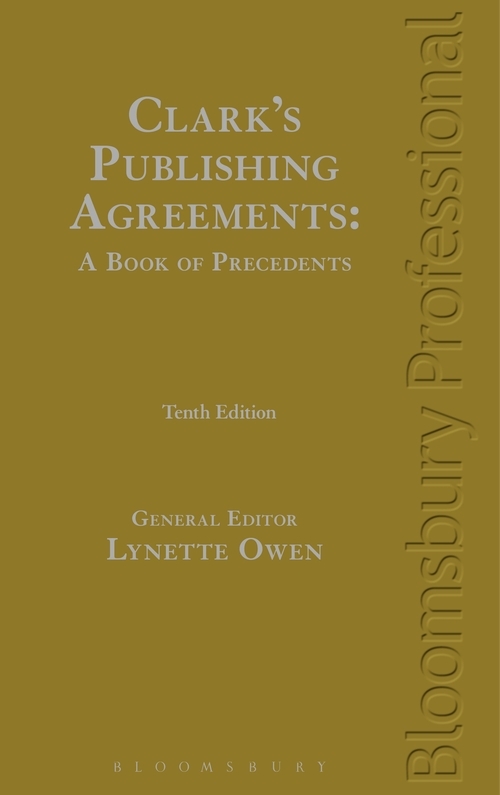 This book comes with an electronic download of the precedents for you to adapt and use in your contracts. On purchase, you will be provided with a code and a web link from which the precedents can be downloaded in a generic format such as *.doc which will be compatible with all operating systems.